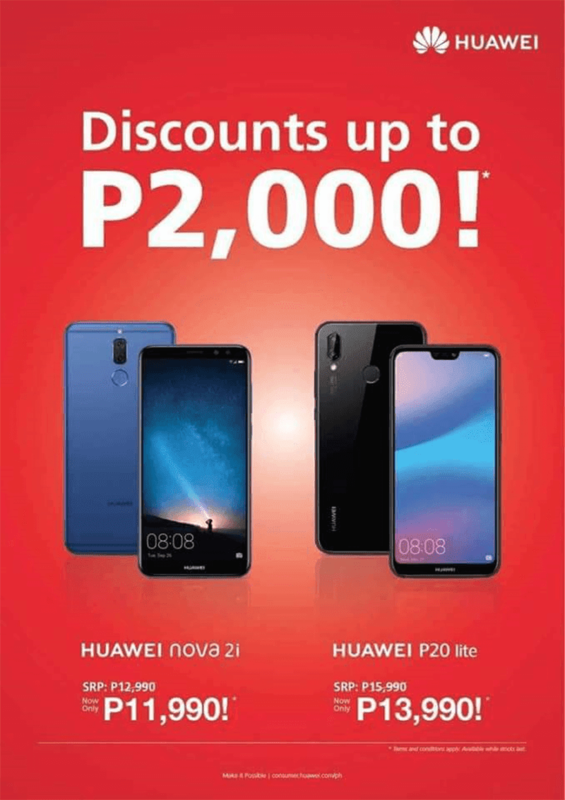 Since Nova 3i is coming, Huawei Philippines decided to slash the prices of the Nova 2i and P20 lite mid-range smartphones. From its PHP 12,990 sale price, Huawei dropped the Nova 2i price once more. It is now priced at just PHP 11,990. Huawei also dropped the price of the P20 lite. From PHP 15,990, you can now get it for just PHP 13,990. To refresh our memory, the Huawei Nova 2i is arguably the most successful mid-range smartphone of 2017. It is one of the first with an 18:9 screen aspect ratio and quad-camera setup. On the other hand, the Huawei P20 lite is one of the most stylish looking mid-range handset this year. It rocks a solid metal and curved glass build, 5.8-inch FHD+ notched display, and a dual camera setup. Both phones are available at Home Credit and Flexi Finance's installment plans.